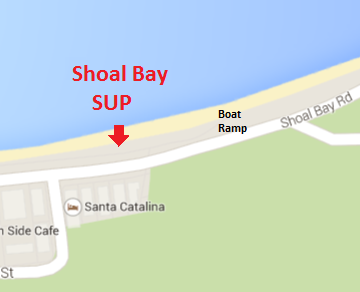 FAQ for Shoal Bay SUP. Port Stephens Standup Paddleboarding facility. It is claimed that SUP is the fastest growing water sport in the world. The sport is very inclusive and and it is easier than most think. It is a sport that can be undertaken by all ages and both sexes have an equal distribution of participants. It can be relaxing, strenuous or adventurous all at the same time. Each day you go paddling is different and you are likely to encounter something new. Do I need to be fit. No people of all shapes, sizes and fitness levels can do our tours , lessons or supervised SUP hire. when the client loses balance and falls on the board. It is likely you will get wet. Just wear your swimmers and if possible a rash vest to protect you from the sun. Put on sunscreen and wear a hat as well is advised. In winter and on colder days a wetsuit if you have one might also help if you feel the cold. Unfortunately Shoal Bay SUP doesn’t provide wetsuits at the moment but sometimes has paddling vests available for cooler morning tours. The instructor will have a waterproof camera to take photos along the way. If you have a waterproof camera attached to a lanyard you could bring this but be mindful of the privacy of other participants. Leave your phone and other things in the car we would prefer them not to be left at the marquee as there may be times when this is unattended. We will look after your keys in a car but all care and no responsibility is taken for lost or stolen keys. What if I cant swim? 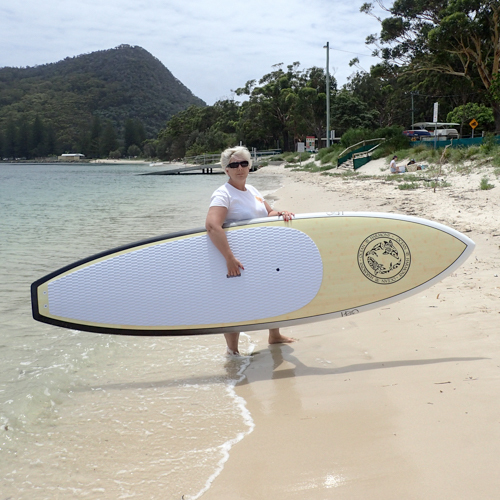 Shoal Bay SUP has a limited number of personal flotation devices to loan to clients. Give us a call and we will see if we have one that is suitable. Make sure you arrive 15 minutes prior to the start so you can get sized up with paddle and sign disclaimer if you are not already a Shoal Bay SUP Client. To save time download the disclaimer here and bring it along. I have my own board can I come on the tour. We are restricted to a fixed number of paying participants per instructor. Give us a call in the morning and we will see if we can fit you in. Standup paddle-boarding is a great workout. It uses many of the muscle groups in arms,shoulders and legs. is a great stress release. SUP is great for improving balance. At first you may find you fall off occasionally when you encounter turbulence or waves, but after a while your balance will improve and no waves will phase you. SUP is a great social sport. You can talk and socialize while you paddle just like you may do when taking a walk with friends Its a great sport the whole family can enjoy together and you can do SUP holidays with friends or family. For people in the Port Stephens area join our Facebook group Port Stephens SUP Club to meet like minded people who SUP. Shoal Bay SUP also offers special hire rates and discounts to local members of the club. What sort of payments do you take. We prefer cash for small transactions as our card machine has high fees that we absorb by the school. Otherwise we take Visa, Mastercard, Apple Pay and Android Pay.